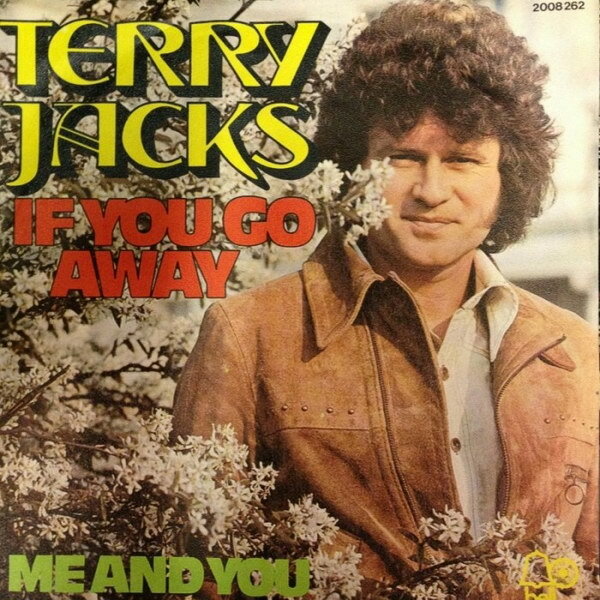 If You Go Away font here refers to the font used in the cover artwork of If You Go Away, which is a single released by Canadian singer Terry Jacks, released via Bell Records in 1974. The font used for the song title is probably Antique Olive Compact designed by Roger Excoffon and the font used for the singer name is Tintoretto Outline designed by Ralph M. Unger. Both are available as commercial font and you can view details about them here and here respectively.